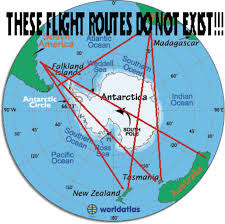 If Earth truly was a globe then there would be several flights in the Southern hemisphere which would have their quickest paths over the Antarctic continent such as Santiago, Chili all the way to Sydney, Australia. Instead of taking the shortest, quickest route in a straight line over Antarctica, all of the flights detour in a manner of directions away from Antarctica, instead claiming that the temperatures are too cold for the airplane to travel over. Considering the fact that there are plenty of flights to/from/over Antarctica, NASA claims to have the technology to keep them in conditions far colder and even far hotter than any conditions experienced on Earth. This is just an excuse that these flights aren’t made because they are just impossible. If Earth truly was a globe and Antarctica was really just too cold to fly over, then the only logical way to make a flight from Sydney, Australia to Santiago, Chili would be a straight shot over the Pacific Ocean staying in the Southern hemisphere the whole way. Some refueling could be done in New Zealand or other Southern hemisphere destinations along the way but that would only be if it’s necessary. In fact, some of the Santiago-Sydney flights go into the Northern hemisphere and make stops over the LAX and other North American airports before going backdown into the Southern hemisphere. Such insane, ridiculous detours would make no sense on the globe but then they make perfect sense when applied to the flat Earth! On the globe Earth, Johannesburg, South Africa all the way to Sao Paolo, Brazil would be a quick, straight shot along the 25th Southern latitude, but instead nearly every flight makes a refueling stop at the 50th degree North latitude in London first. The only reason that this ridiculous stop would be made is because the Earth is flat! On the globe Earth, Cape Town, South Africa to Buenos Aries, Argentina should be a straight shot over the Atlantic Ocean following the same line of latitude across, but instead every flight goes to connecting locations in the Northern hemisphere first, stopping anywhere from London, Turkey, and even Dubai. Once again, these make no sense on the globe Earth but they make perfect sense on the flat Earth. 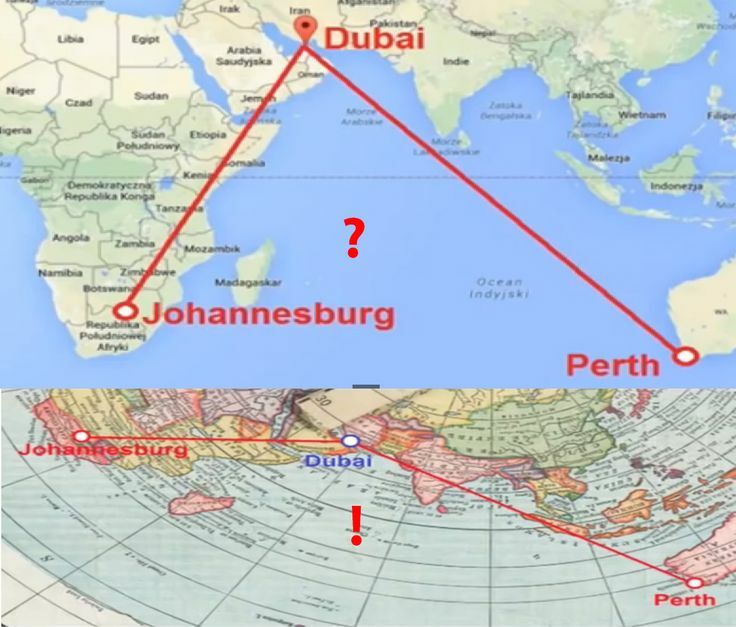 On the globe earth, Johannesburg, South Africa to Perth, Australia would be a straight shot over the Indian Ocean with even a convenient refueling possibility somewhere around Madagascar. 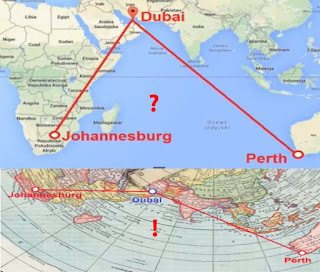 However, most Johannesburg to Perth flights curiously stop over Dubai, Hong Kong, or Malaysia, which all of these make no sense on the globe, but they make perfect sense when mapped on the flat Earth. On the globe Earth, Santiago, Chili all the way to Johannesburg, South Africa would be an easy flight taking place below the Tropic of Capricorn in the Southern hemisphere, but all of the flights make curious refueling stops near Senegal near the Tropic of Cancer in the Northern hemisphere first. 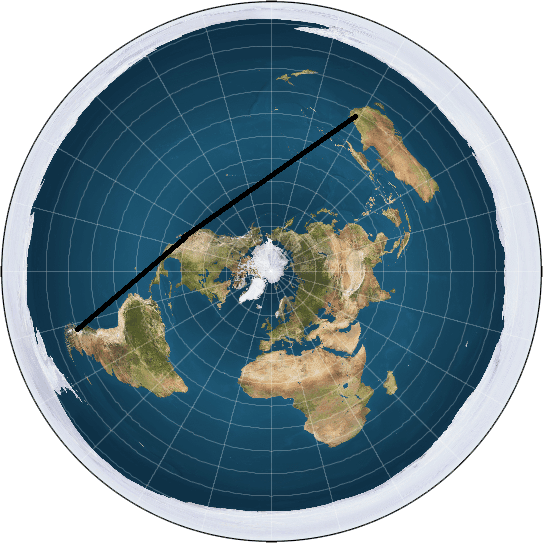 This would make sense on the flat Earth because it would be nearly a straight line but when mapped on the globe earth, this makes no sense at all!